When Jefferson Davis became president of the Confederacy, his wife, Varina Howell Davis, reluctantly became the First Lady. For this highly intelligent, acutely observant woman, loyalty did not come easily: she spent long years struggling to reconcile her societal duties to her personal beliefs. Raised in Mississippi but educated in Philadelphia, and a long-time resident of Washington, D.C., Mrs. Davis never felt at ease in Richmond. During the war she nursed Union prisoners and secretly corresponded with friends in the North. Though she publicly supported the South, her term as First Lady was plagued by rumors of her disaffection. After the war, Varina Davis endured financial woes and the loss of several children, but following her husband's death in 1889, she moved to New York and began a career in journalism. Here she advocated reconciliation between the North and South and became friends with Julia Grant, the widow of Ulysses S. Grant. She shocked many by declaring in a newspaper that it was God's will that the North won the war. A century after Varina Davis's death in 1906, Joan E. Cashin has written a masterly work, the first definitive biography of this truly modern, but deeply conflicted, woman. 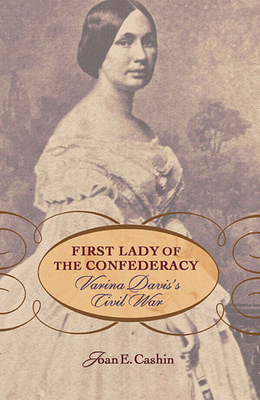 Pro-slavery but also pro-Union, Varina Davis was inhibited by her role as Confederate First Lady and unable to reveal her true convictions. In this pathbreaking book, Cashin offers a splendid portrait of a fascinating woman who struggled with the constraints of her time and place.